Although our current temperatures may not reflect it, the official first day of fall is only a few weeks away. With cool autumn evenings close behind, this is the perfect time to explore the many outdoor living features we have to offer at Michael Hatcher & Associates, including fire pits. While fire pits can be enjoyed year-round, there’s something special about gathering around a warm fire with friends and family once the leaves start falling. Whether you’re roasting marshmallows, making s’mores, or simply enjoying a nice glass of wine as you unwind from a long week, fire pits provide a wonderful source of bonding and relaxation. They can also be used as an outdoor cooking area, make great conversation pieces, and can be a selling point should you ever decide to move. During these hot Memphis summer months, you may find yourself fretting about how to keep your lush, green landscape safe from the intense heat. 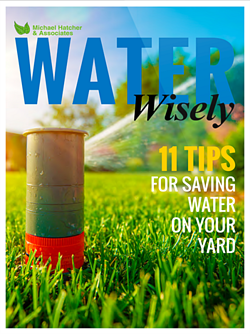 The best way to battle the scorching sun is to be smart about how and when you irrigate your plants, trees, and lawn. During periods of consistent rainfall, most of the well-established trees and shrubs on your property won’t require supplemental irrigation, but when we go long stretches without rain, as happens often in the summer, these plants can decline or die without watering. Gardens, flower beds, and lawns can also suffer from a lack of precipitation if they are not cared for properly. Summer is almost here, and it is the perfect time for backyard BBQ’s. You do not need much more than a grill, a cooler, and a few seats to make the most out of these long days and nights, but a well-designed outdoor kitchen by Michael Hatcher & Associates will allow you to cook in comfort all year round! An outdoor kitchen can consist of anything from a grill with a table and chairs to a fully outfitted kitchen with built-in appliances and seating. Incorporating the look of an interior kitchen to an outdoor setting is a great way to add versatility and value to your home, and it is also a fun, functional way to expand your living space. Spring seems to be taking its time arriving this year, even here in the Mid-South. With below average temperatures lasting throughout March and April, as well as a number of late and sometimes unexpected frosts, many gardening plans have been put on hold. Although we did not have a particularly harsh winter, it does not take an arctic blast to injure plants and vegetation. The impact of winter damage can sometimes be hard to see, however, and can vary greatly even within a single landscape. 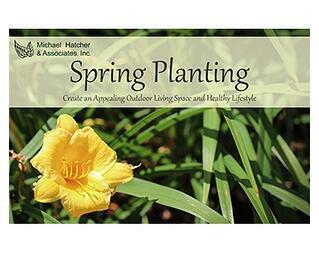 Michael Hatcher & Associates has a few simple steps you can take this spring to check for signs of life, along with tips to help revive your landscape so it can look its best before the summer heat arrives! With over thirteen inches of rain falling, this February set a new mark for the wettest on record in Memphis. This kind of heavy precipitation is a reminder that late winter and early spring are an especially good time to resolve any drainage or erosion issues you’ve been having with your property, particularly in the Mid-South, where our biggest severe weather season runs from March until May. Strong storms often dump copious amounts of rain on us in a relatively short period of time, which can worsen any existing problems and sometimes cause new ones. Spring start-up and inspection services typically are performed starting in late March into early June, depending on the weather conditions for each year. Michael Hatcher and Associates will not only get your irrigation up and programed, but also can perform the following procedures to ensure your system is running efficiently. Spring will be here before you know it, so the question is not if you will need pre-emergent weed control for your lawn, but when you’ll need it. For homeowners like you who truly love their lawn, it’s a matter of life or death when it comes to preventing the hostile takeover of your turfgrass by unsightly weeds. It’s hard to be proud of a lawn that is full of difficult-to-control weeds. A green lawn adds both color and, therefore, curb appeal to your property. Don’t let patches of brown grass, caused by army worms, take that away. The irritation of mosquitoes in your outdoor living space can end any summer barbeque much quicker than intended. So how do you prevent these mosquitoes from wreaking havoc in your yard, allowing you to continue to celebrate the warm weather long into the evening hours? My Coniferous Tree Looks Funny. Could it be Bagworms? An increase of dull brown leaves, decline of vibrant pine needles and a slight olive color could indicate bagworm infestation. Thankfully, bagworms can be treated. But what do they look like? And how exactly are they treated? Read More about My Coniferous Tree Looks Funny. Could it be Bagworms?